Bed & Pet-first (B&P) recently renovated, what changes and upgrades have been made to the villa? We upgraded our room system, such as a new ventilation system, additional air conditioners to better control the temperature and humidity, brand new cat rooms, homemade foods and more. Our future plan is to bring a big outdoor space to our furry friends to exercise and socialize. You have three French bulldogs, tell us about them and why they inspired you to open B&P. Yes, I have three French bulldogs, two boys and one girl. I guess every ambitious business started personally, especially this kind of business where we really have to love our furry friends in order to deliver a good service. This kind of caring and service has to come from the heart, and it is very challenging to pursue perfection. As a dog-owner I had a difficult time finding a place that I can leave my three dogs at for many reasons: size of the room, lack of exercise and social times, risk of infection because most places are also vet clinics, so the dogs normally come home stressful. So I decided to open B&P to fill these demands. The purpose is just to have a place that our furry friends can be totally relaxed as well as their owners. 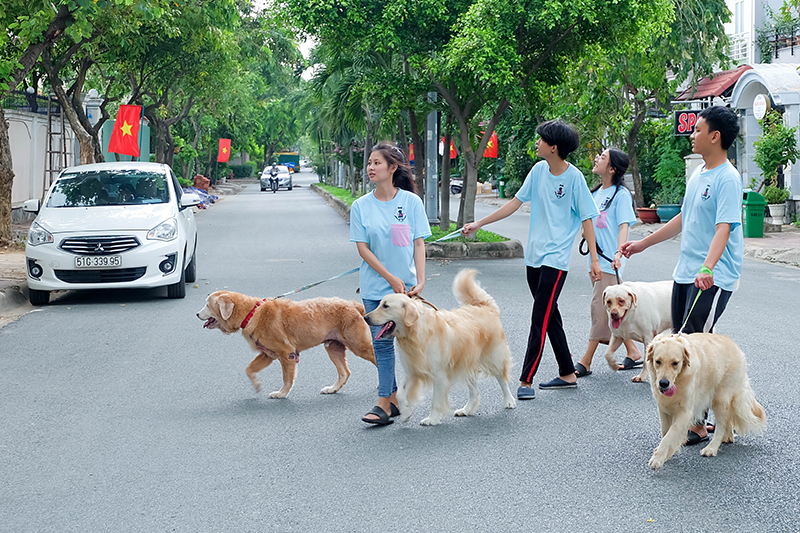 It is our main goal to become the first leading pet hotel in Vietnam. 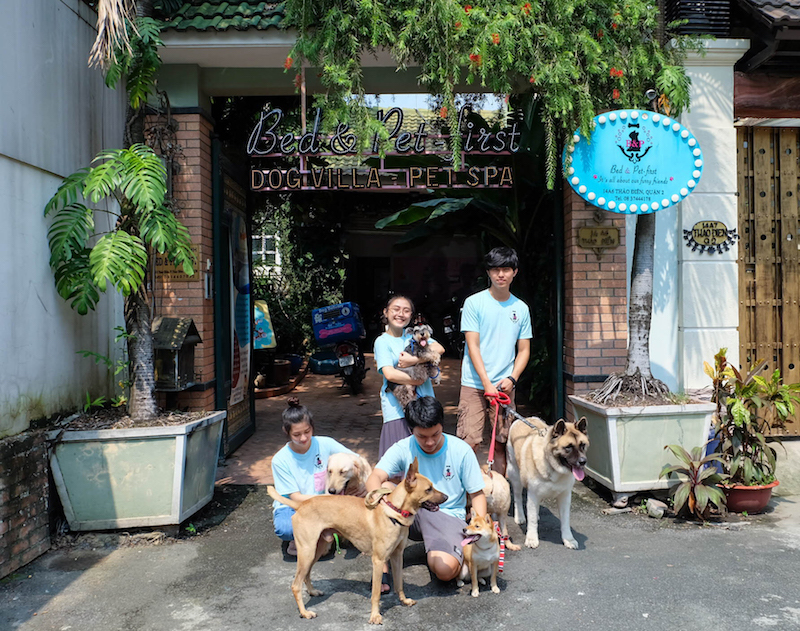 The name is taken with the meaning that we provide a really good bed for you pet, and everything about or for them comes first. How do you ensure the safety of the animals in your care? Not only making sure they are safe from injuries and diseases, but also from dognapping. What happens if there is an emergency? – We require a health record book and vet info. – We check the health of the pet when checking in and if the pet is not in good health, we will refuse to check them in. – After playtime, our vet will check the pets before they return to their room. – In case of an emergency, we will contact the owner to confirm the owner’s choice of action and bring the pet to the vet that the owner has already provided info of. About dognapping, we always walk the dogs in an enclosed neighborhood and always go in groups. What exercise/play programs do you have for the dogs? There are 2 times (mornings and afternoons) during the day where they play and walk and about 2 to 3 hours each time. Our staff will be monitoring them closely to check on their behavior, like exhaustion, shyness or aggressive, then we will manage the activities to fit their needs. 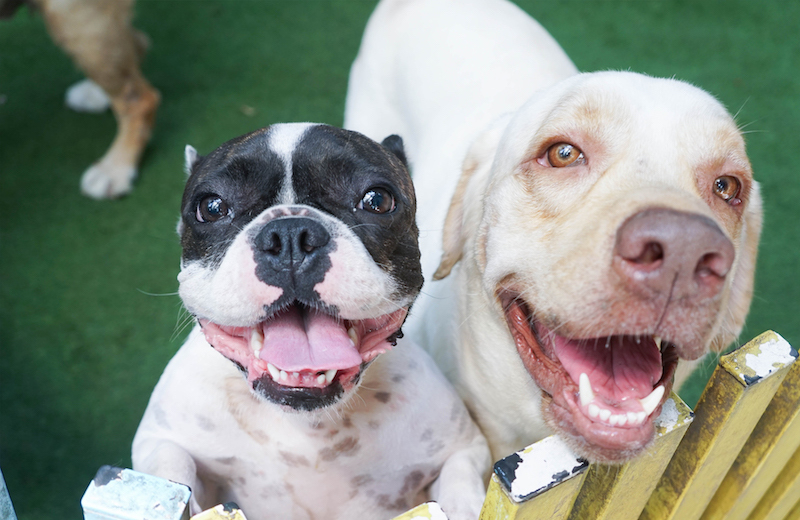 For example, bigger dogs need longer walks to calm down—we even have a treadmill for them to walk on during rainy days or extremely hot days. What advice can you give to first-time dog-owners who are looking for a place to board their pets? – Bring your pet to our place for a short time to introduce the place to them so you and your pet will know the place is safe. – Make sure that your pet is up-to- date on their vaccinations. Have a copy of your pet’s veterinary records with you. – Bring your pet’s food or let the boarders know if there are any special feeding instructions needed, such as if your pet is on a special diet. – Bring your dog’s bed or favorite blanket, along with a few toys. – Let the boarder know of any unique health issues, such as allergy, heat exhaustion, etc. – Stay calm and happy when dropping your pet off and saying goodbye. This can help your pet feel more relaxed when being in new surroundings. For more info, visit www.facebook.com/Bedandpetfirst or 14A6 Thao Dien, D2.